Are you planning a solo trip through a Spanish speaking country this summer? You may or may not expect to run into someone that catches your eye – I mean, it usually happens at an unexpected time in an unusual place (trust me, I know from personal experience). Whether it’s at the bar, in your hostel or climbing up a mountain in humid weather… you can surely impress a Spanish speaking native with your ability to flirt! Here are a few helpful tips to flirting in one of the most romantic languages in the world! Would you like to dance with me? – ¿Quieres bailar conmigo? You’re cute – Eres lindo/linda. You have beautiful eyes – Tienes hermosos ojos. Is it hot in here or is it just you? – ¿Hace calor aquí, o eres tù? If kissing you were a sin, I’d happily walk through hell – Si besarte fuera pecado, caminaría feliz por el infierno. 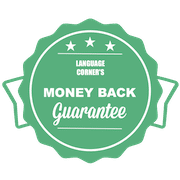 If you want to learn some more tips, tricks and pickup lines for the next time you travel to a Spanish speaking country, then check out the our upcoming Spanish workshops at Language Corner! Choose from one of two classes – such as the “Backpackers Essentials Workshop,” to guide you through the language barriers of travelling, or improve your pick-up lines in the complete “Flirting in Spanish” workshop!